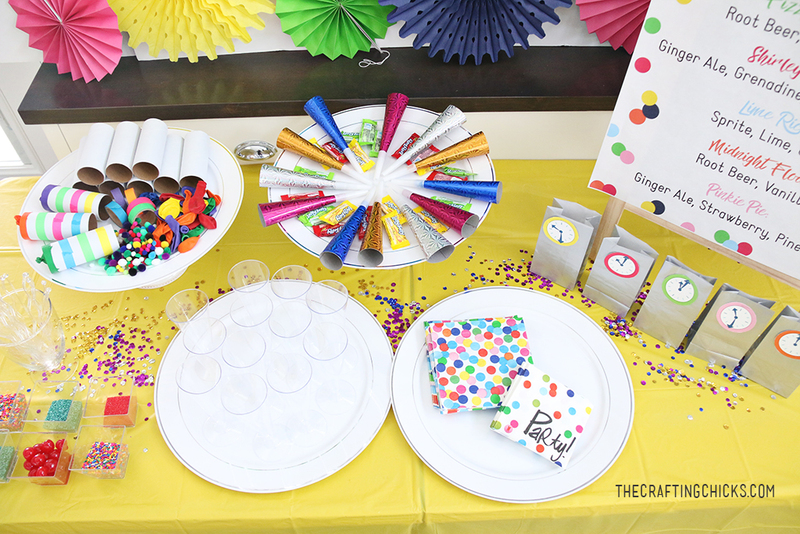 If you don’t want your kids up until midnight celebrating the New Year, throw them a Noon Year’s Eve Kids Party. 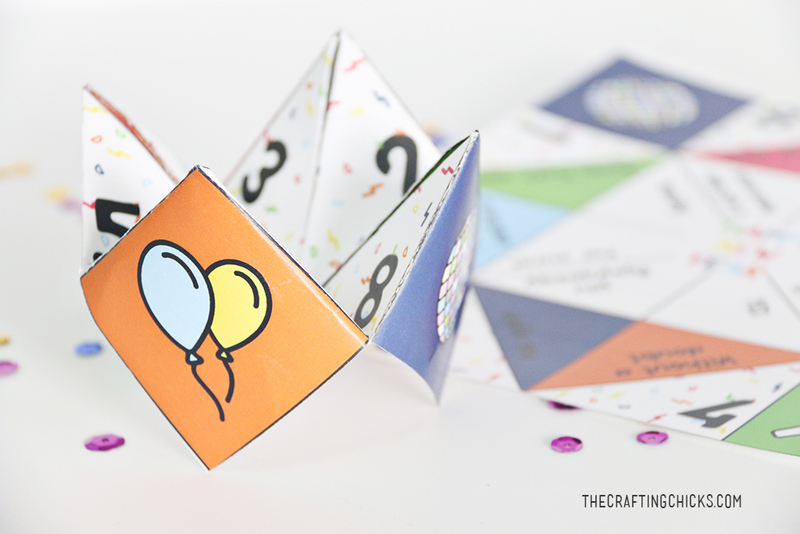 Celebrating New Year’s is tons of fun, but tired kids the next day is NOT! This party will let them celebrate without the loss of sleep. Tired and cranky kids are not fun. But we wanted to give them a way to celebrate the New Year with friends. 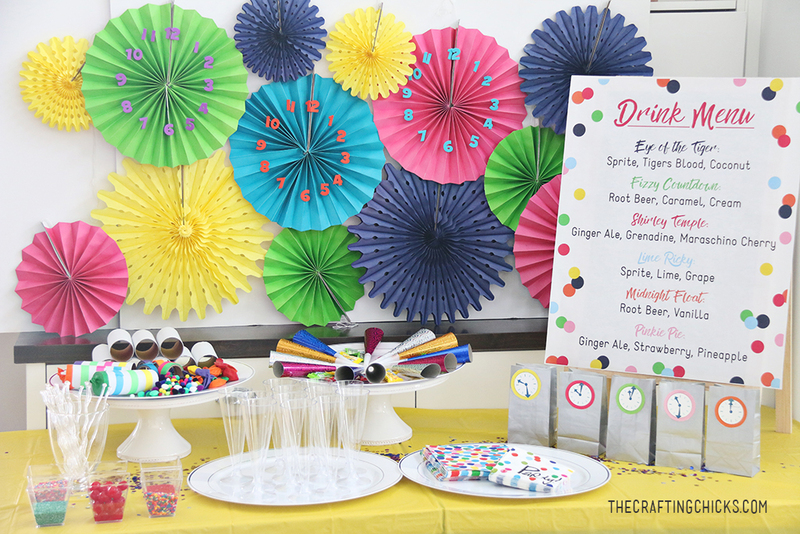 We decided to throw a Noon Year’s Eve Kids Party this year so they wouldn’t have to stay up until midnight. It was genius. 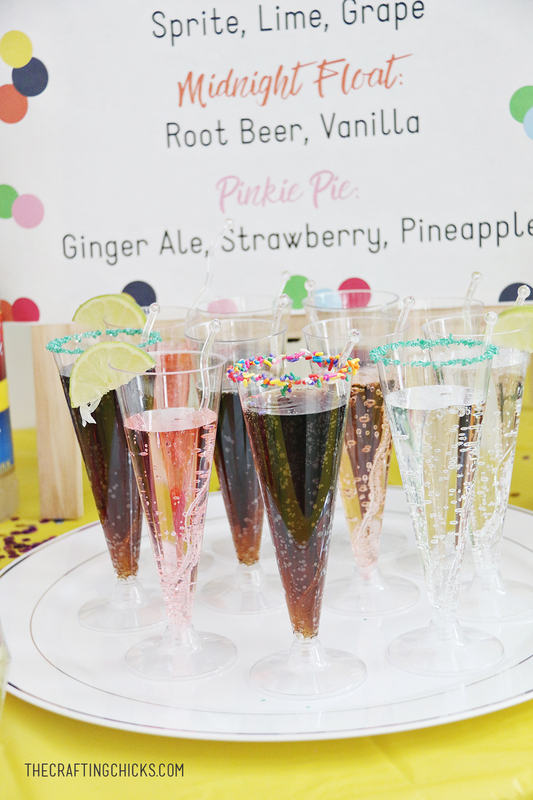 We invited friends over at 10:00 am and partied until Noon! Here’s the set up we used. 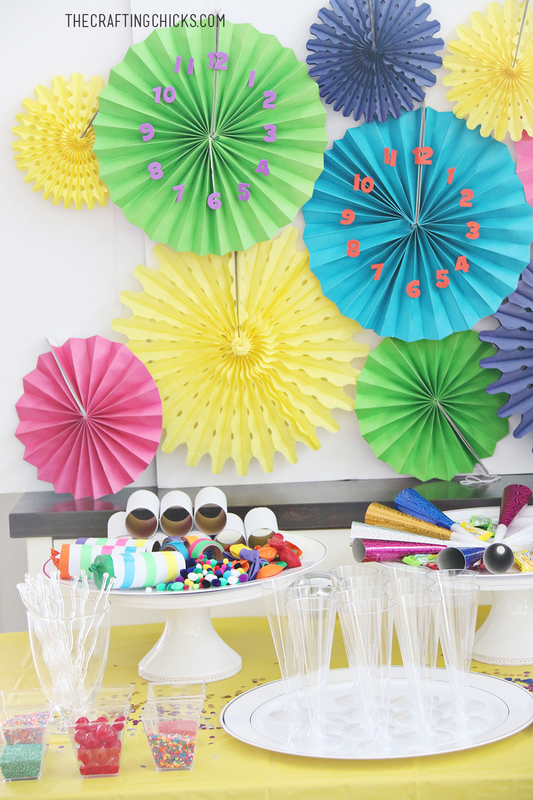 We let our kids make this fun DIY New Year’s Eve Party Clock Backdrop. 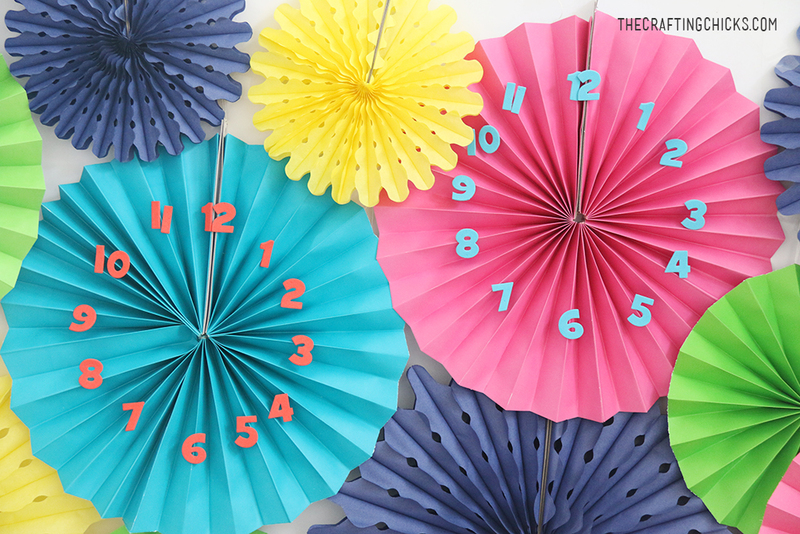 You can check out the whole DIY on our post, but the kids had a lot of fun making these and helping us hang them. 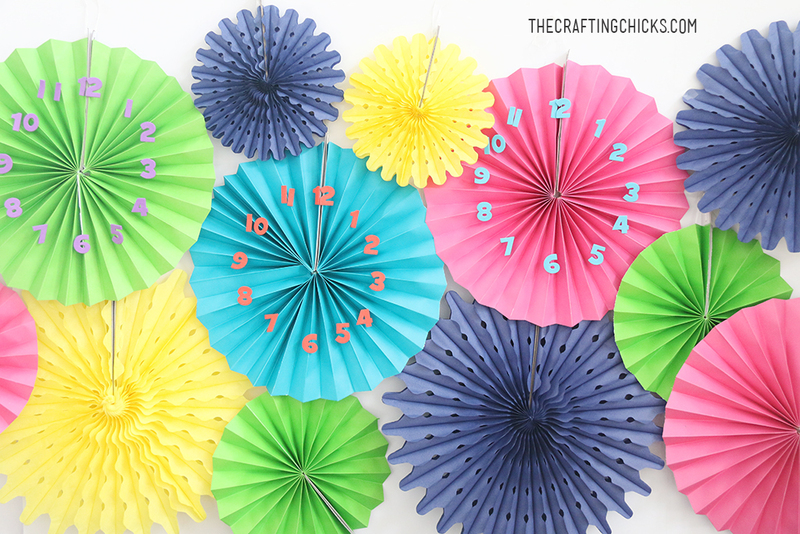 The biggest part of the night was the DIY New Year’s Eve Kids’ Countdown Bags. 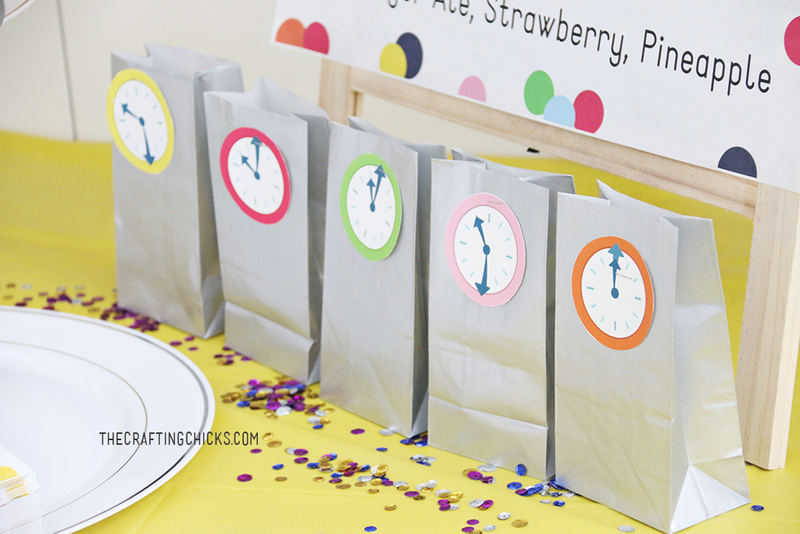 We have free printable clocks for each bag and also free printable ideas of activities and crafts the kids can do every half hour. 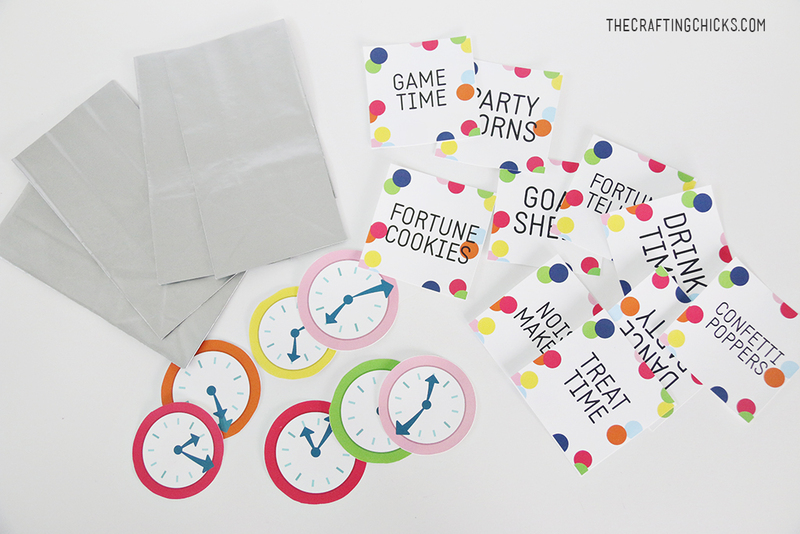 The Fortune Teller Printables was a craft idea for the bags. 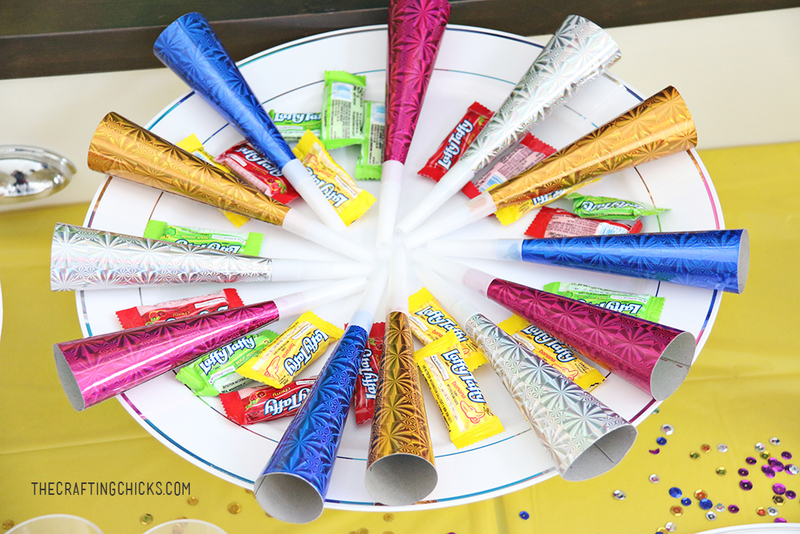 We also had these fun New Year’s Eve Poppers. 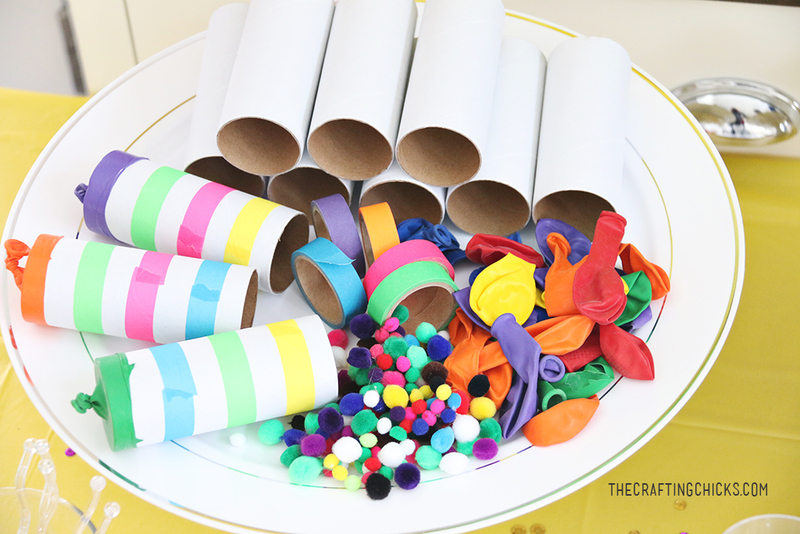 We had these party horns. 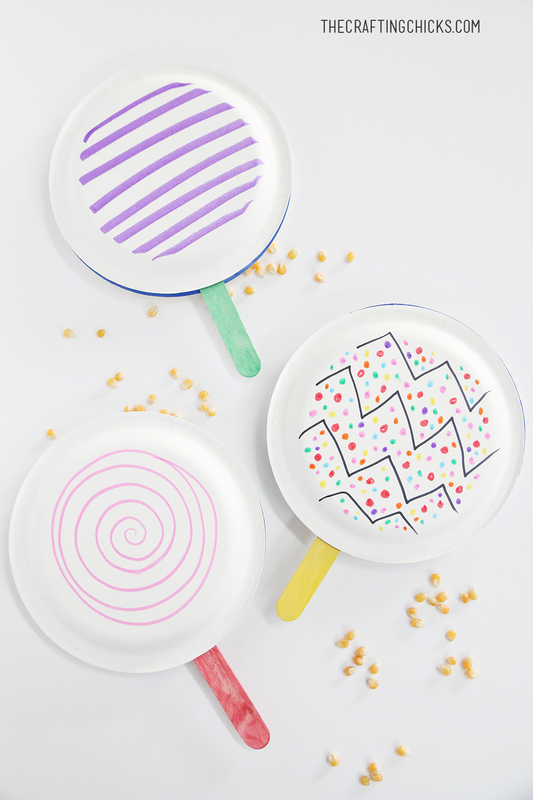 But also let the kids make these DIY Noise Makers. 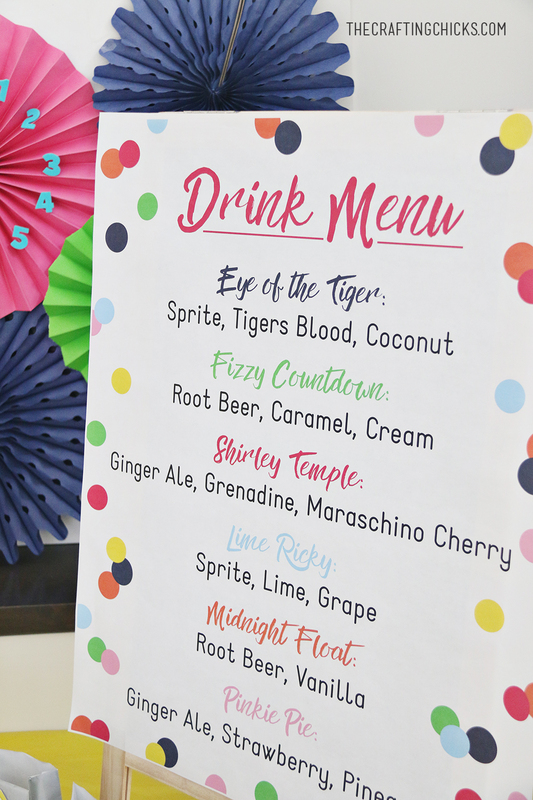 For refreshments, we made this fun printable Drink Menu and let them make all sorts of drink concoctions. They loved it. 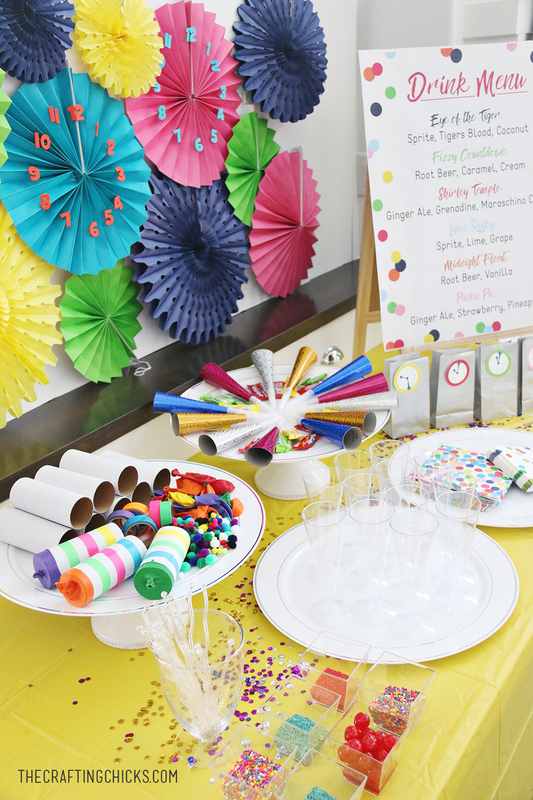 The party was lots of fun. And the best part, our kids were in bed at bedtime and not running around like wild animals hyped up on sugar!